I love bare trees, I don't know why. So finding one alone and framing it with a dune... I am just extactic! 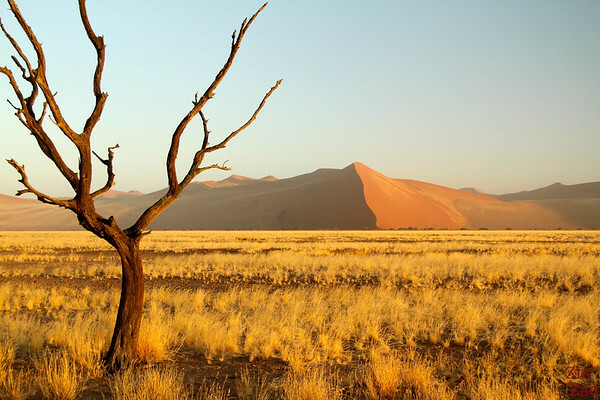 The Sossusvlei area has some of the highest sand dunes in the world. they are of orangy/red color and very impressive. 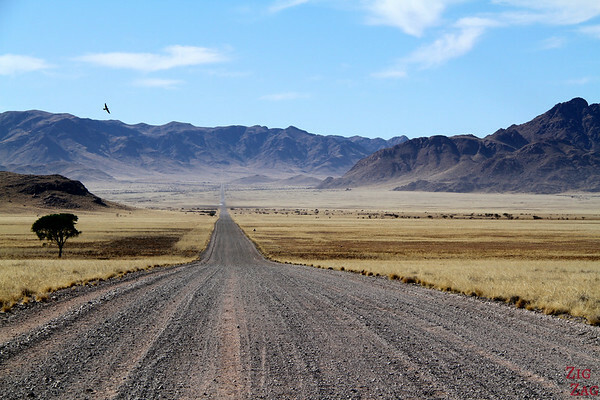 Namibia has a lot of straight roads like this one. I was so amazed by the ladnscape that I asked the driver to stop. I was lucky enough to have the bird playing and flaying around. This is a place where the rock piles of the Giant's playground meet the forest of quiver trees. Such a unique place! 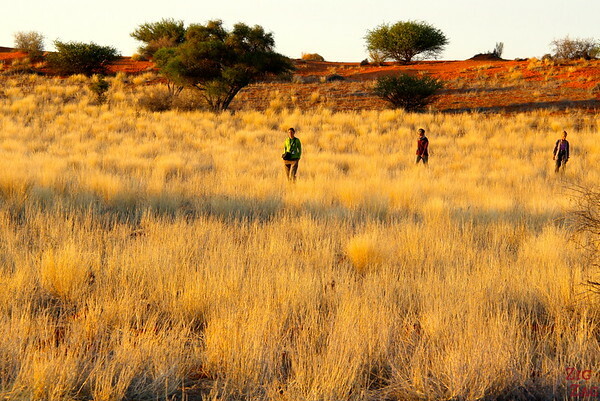 The contrast of the orange sand against the yellow grass, all illuminated by the first lights of the day. 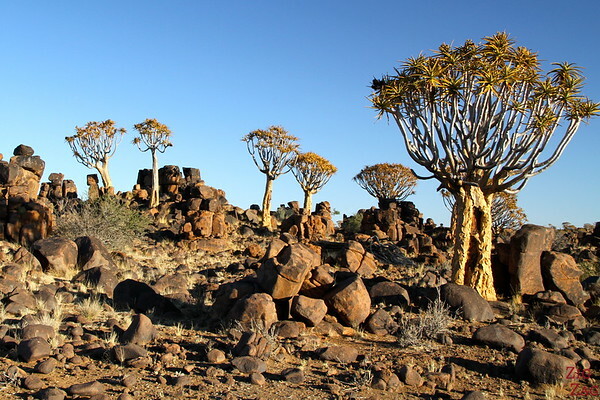 The Kalahari desert is actually a semi-desert covering part of Namibia and Botswana. It is identifiable by its long longitudinal sand dunes. The interest of this photo is the timing: eyes focus, tongue out... is it going to eat me? 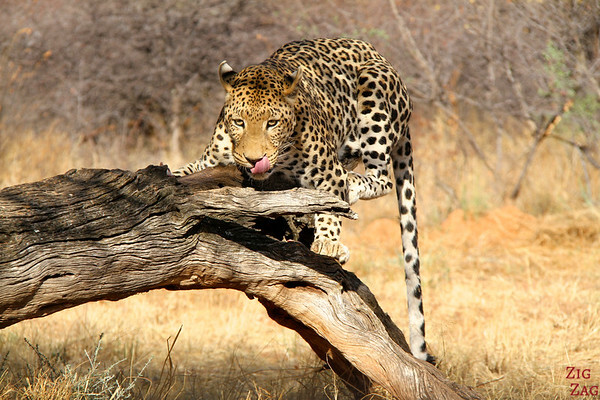 Africat Okonjima is a protected reserve noth of Windhoek where they take care of animals and raise awareness. It really shows how close we were to the elephant and the ears are just perfect! 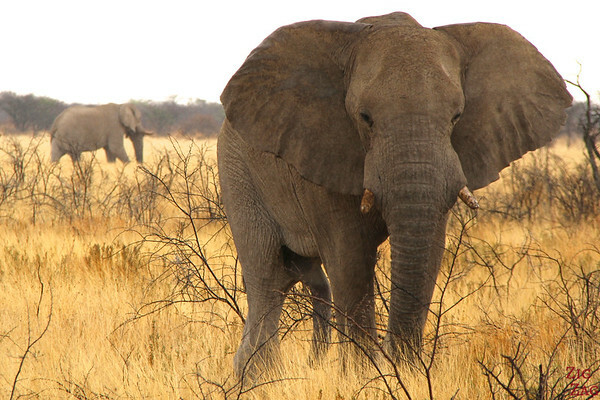 Etosha National Park is a fantastic reserve in the North of Namibia without much vegetation so you can see very well the elephants. The baby elephant is so adorable and I love how I was able to shoot him clear when the other elephants are blurry. 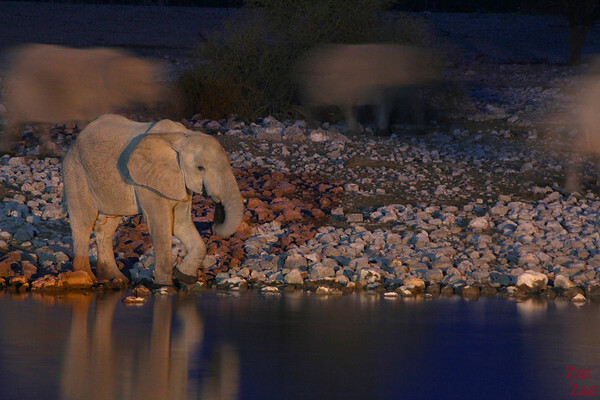 The Okaukuejo Waterhole in Etosha National Park attracts a lot of animals at night. At that time, I saw a group of around 30 elephants! The delicacy of the scene matches with the softness of the colors. 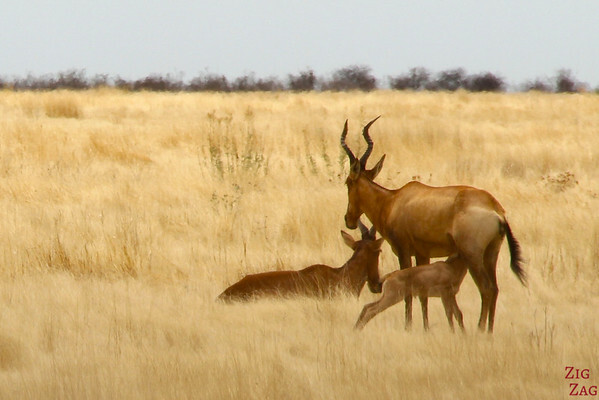 Etosha National Park is a fantastic reserve in the North of Namibia without much vegetation so you can see very well the wildlife. What a great timing! 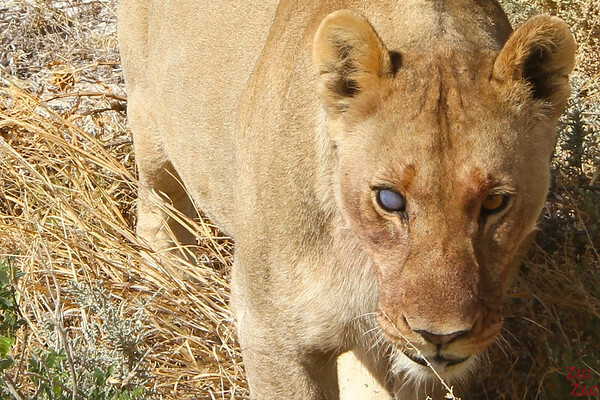 You can really see that the lioness is looking directly at me. Plus its problem at one eye makes it event more special. Etosha National Park is a fantastic reserve in the North of Namibia without much vegetation so you can see very well the lions. Seriously, do you even need to ask? I have no idea where we were at that time. The plan had changed and at the time I was not taking as many notes as today. 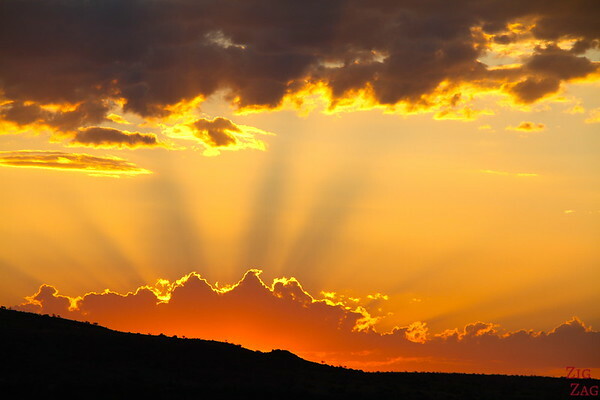 Thank you so much for your website with all the overwhelming photos and travel reports. 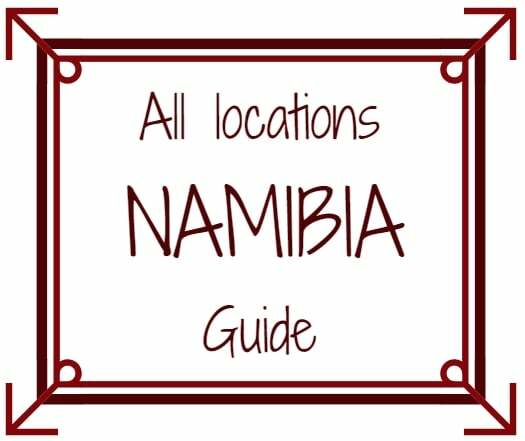 I’m flying to Namibia in 48 hours and do the 14 day trip (Southern swing and Northern Adventure) with Wilddog Safaris and your reports and photos making me more and more excited. Thank you for your comment. I am glad you are enjoying my website. I also keep looking for photos and all just before going on my trip: Anticipation is a great part of traveling. Have a safe & exciting trip!